Originally developed for an elite military project, the Benchmade 112 H20 fixed blade was created to excel in water-related activites. 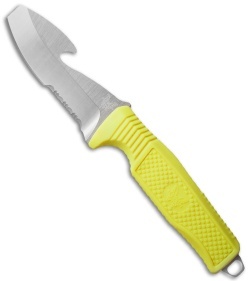 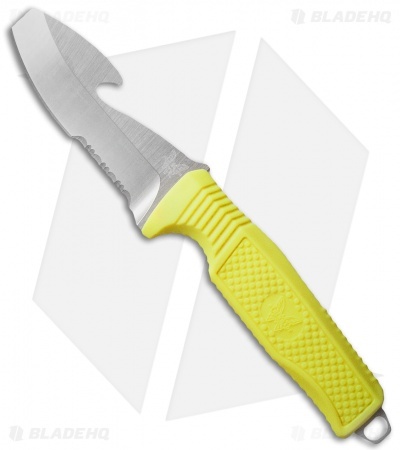 It has an ultra stainless N680 steel blunt-tip opposing bevel blade with partial serrations and a rescue hook cutter along with a textured handle with a yellow rubberized overmold. 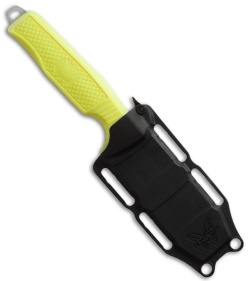 A molded thermoplastic sheath with thumb release is included and offers multiple attachment options.